Born in Bahrain in 1981, Turner was educated at Eton College in England. His first foray into the world of punk and rock in the band Kneejerk came to an end in 2000, and he soon found himself joining up with Million Dead. Over the course of that band’s four-year lifespan, Million Dead released two critically lauded albums. 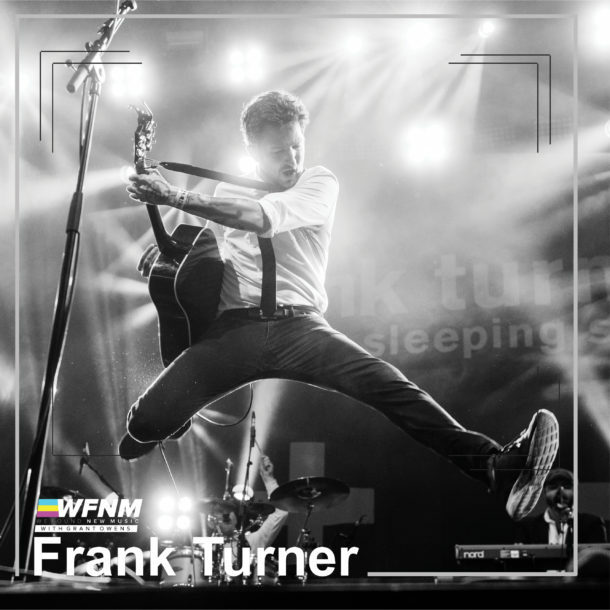 Turner decided to explore a different world after Million Dead, focusing on his love of folk and country, with acoustic guitar being the guiding force. Upon getting a deal with Xtra Mile Recordings, he was able to release his first EP, Campfire Punkrock, in 2006. Critically well-received, the EP led to a full-length album in January of 2007, Sleep Is for the Week. In March of 2008 Turner kept recording, and released the EP, The Real Damage, and a DVD, All About the Destination. His next album, Love Ire & Song, was due in the midst of more live appearances in 2008. Turner’s label signed a distribution deal with Epitaph in the United States in late 2008. The end result was Poetry of the Deed in September 2009, his first release stateside. In addition, Epitaph also reissued Love Ire & Song in the U.S. Later that year, Turner released a stellar solo acoustic cover of Bruce Springsteen’s “Thunder Road” as a single via Suburban Home Records, and followed it with the album England Keep My Bones in June of 2011. In 2012, Turner released Last Minutes & Lost Evenings, a 15-track, handpicked collection of album cuts and rarities intended to introduce the fiery Englishman to an American audience. It was followed in 2013 by his fifth studio album, the Burbank, California-recorded Tape Deck Heart. Later in the year he released the brief ten-song Buddies EP in collaboration with songwriter Jon Snodgrass. In 2014, Turner was set to release a compilation, The Third Three Years, which followed two previous collections — The First Three Years (2009) and The Second Three Years (2012) — and collected demos, rarities, and cover versions. In 2015, Turner returned with Positive Songs for Negative People, a collection of all-new material. Two years later, he celebrated the tenth anniversary of his debut solo album with the career-spanning retrospective Songbook, which included re-recorded versions of some of his most popular songs.